We get about four eggs a day from the hens. Which is very nice. 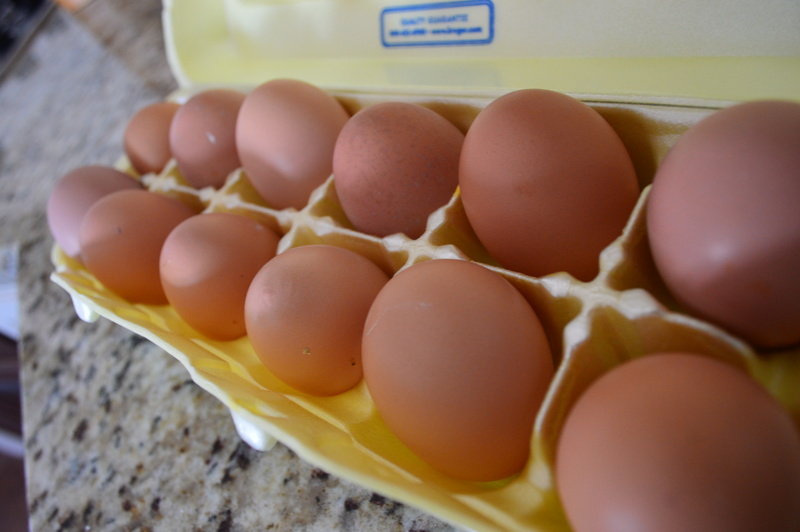 I love having fresh eggs. But, four eggs a day adds up pretty quickly. I have to get a little creative to try to make sure these fresh eggy’s don’t go to waste. Hardboiled eggs are a staple in the fridge. They are great for Adam to grab on his way out the door in the morning. He never had been much of a breakfast eater so the nutrition guru in me is glad he is finally eating something in the morning. When I am not traveling, I work at home so I am typically able to take a little more time in the morning. I like to make an omelet or fry a couple eggs to make a little breakfast sandwich. 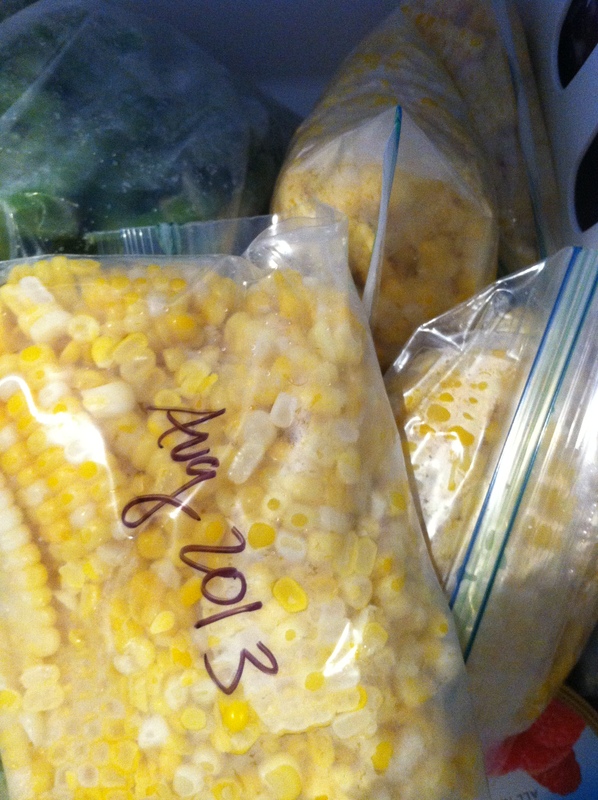 When I started my Lent resolution of getting through the veggie’s in the freezer I knew the hardest thing for us to get through would be the sweet corn. We froze tons of it and I try to avoid starchy vegetables. They don’t bring as much to the table in terms of nutrients and health. The corn freezing adventures of Summer 2013! I have been a potato kinda girl my whole life. Baked, fried, tot, mashed… whatever! 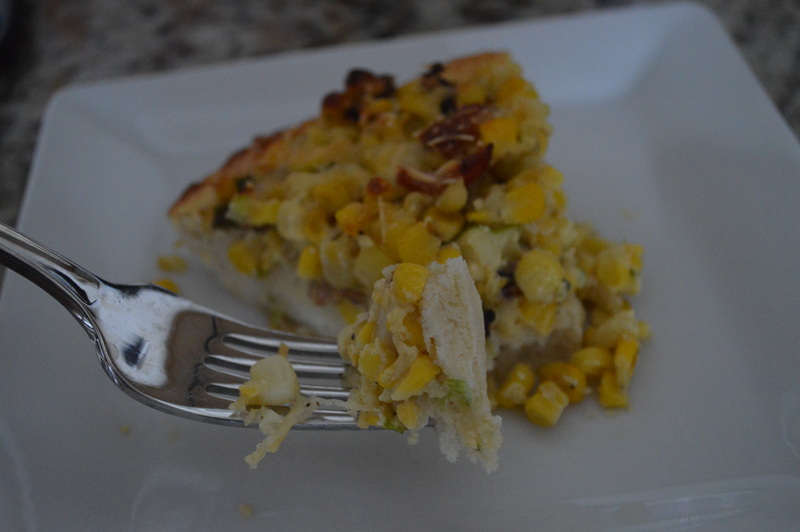 So, I decided to focus the sweet corn towards a lunch entrée versus dinner. 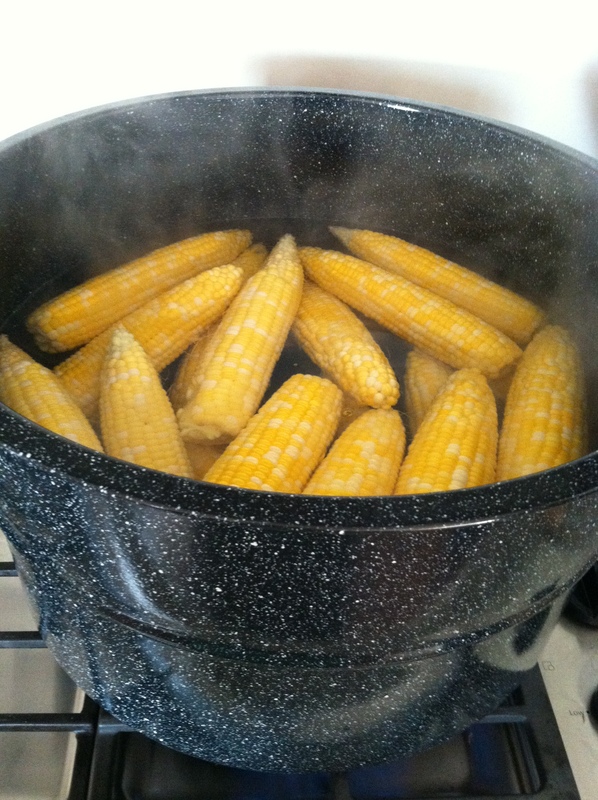 This way, I have more of the day to burn off the natural sugars found in starchy vegetables like corn. This tart became a great solution. It used my plentiful eggs and sweet corn. I made the crust using this recipe. And just used other odds and ends from the fridge so it cost me nearly nothing. And, it didn’t cost me too many calories either. Thanks to my tools and knowledge from a couple years of calorie reporting in K-12 nutrition, I would say a 1/4 slice of this tart is about 400 calories. Not too bad for lunch when you balance it out with a glass of water and piece of fruit. And, it gets you nearly a week’s worth of lunches! Cook bacon in a skillet until lightly browned. 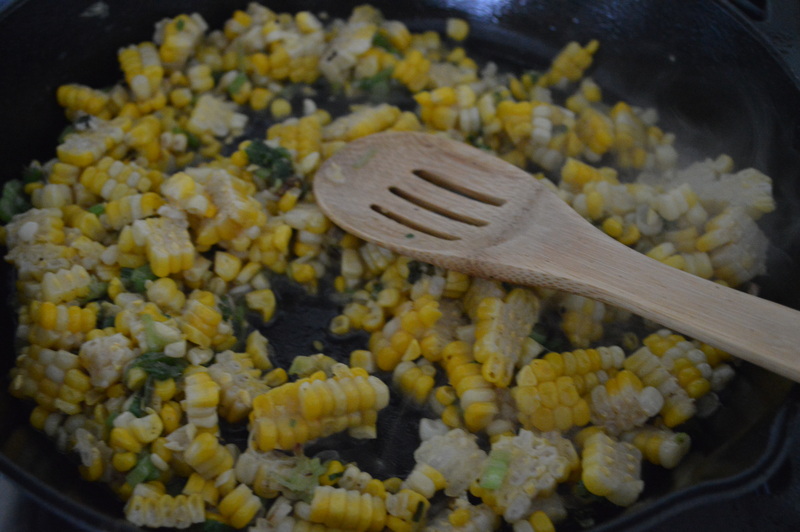 Add corn and green onions and sauté mixture for about three minutes. 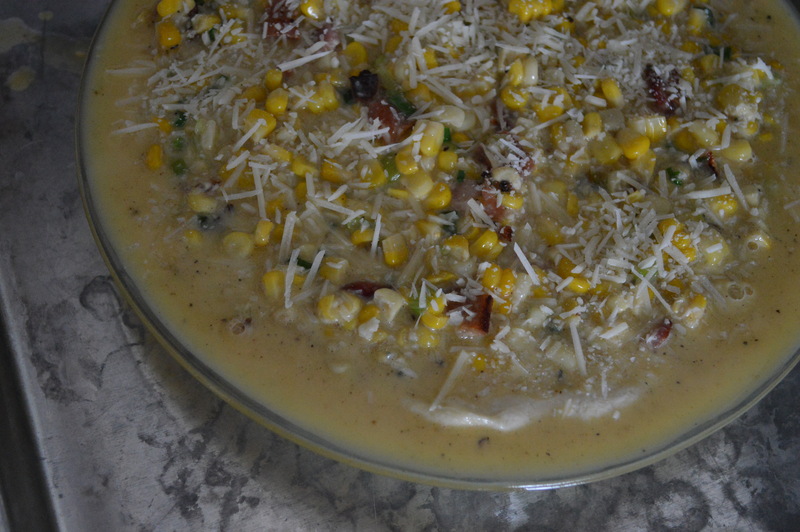 Place the bacon, corn and green onion mixture in a large bowl. Add milk, two tablespoons of Parmesan, S&P, egg whites and egg. Stir until the mixture is well blended. Spray a tart or pie pan (10 inch diameter or so is best). Pat dough into the bottom and up the sides of the pan to cover the surface. 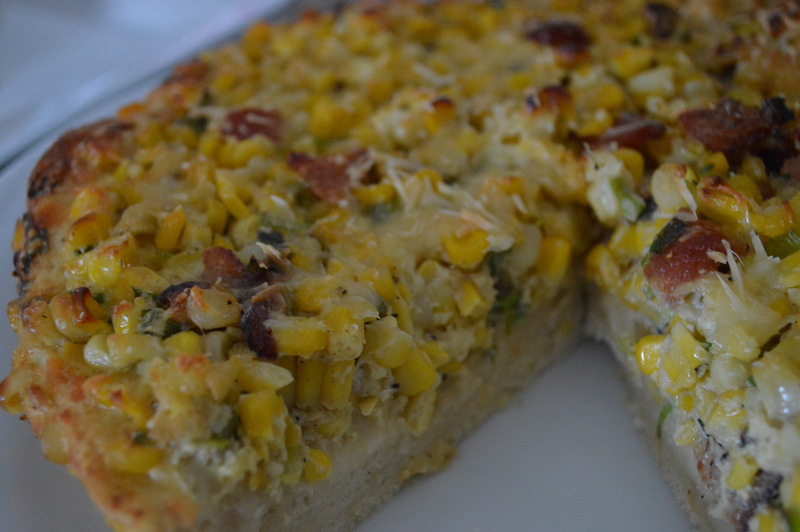 Pour bacon mixture into the dough and sprinkle with remaining Parmesan Cheese. 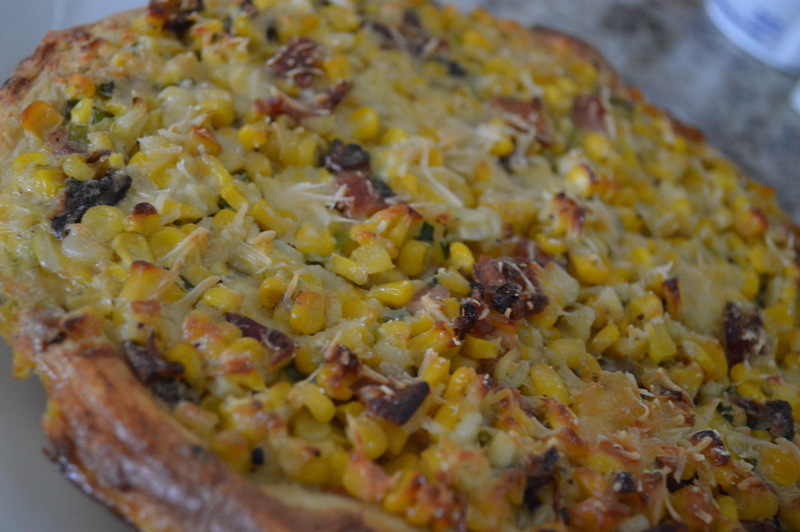 Place pie or tart pan on a large baking sheet. DO put a baking sheet under the pie or tart pan. You will have a mess otherwise. Bake for about 35-45 minutes, or until well set. Let cool for ten minutes on a wire rack. Serve right away or refrigerate for up to a week. I just would zap a piece for about 45 seconds on days that I had the tart for lunch. It also could make a great entrée for a brunch! It’s no secret that vegetables are good for you. And when you have a well maintained garden, you’ll have a ton of vegetables. 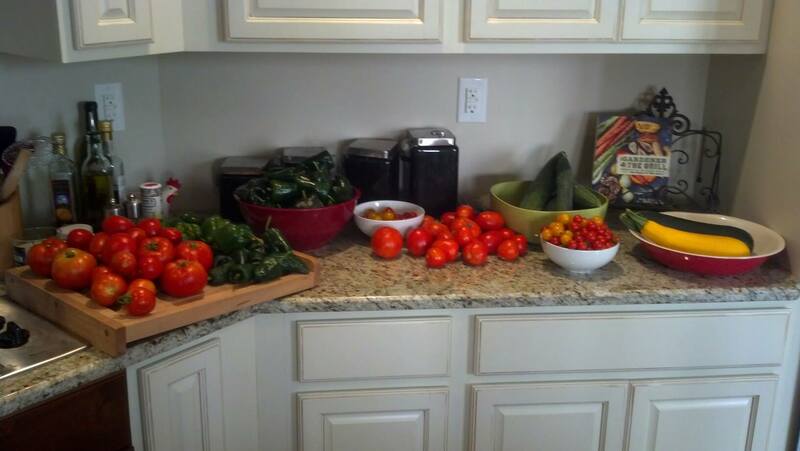 Adam took this picture last August… So many veggies! I found that with a bowl of fresh cherry tomatoes on the counter, I am far less likely to even think about wanting to eat chips or candy. I want to eat the food that I grew. And, since you can’t grow a cheeseburger or chocolate bar, I am eating far more vegetables than I ever had since we started gardening. 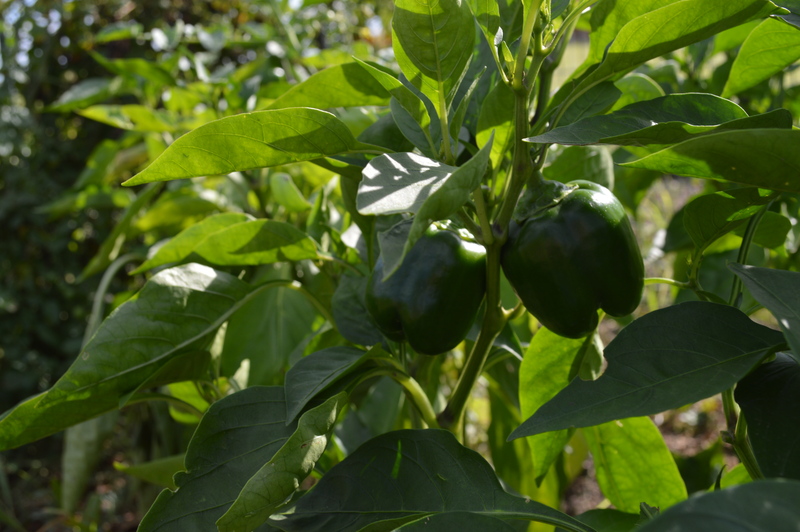 But, what might be even more of a secret is how good well maintained, backyard garden vegetables are for you. Granted, when growers are producing far more tomatoes than I could even imagine in order to feed the planet, they need a little help in keeping diseases, weeds, and pests at bay. Enter the conventional vegetable. And man, is there ever a debate about organic versus conventional food. Adam and I don’t even agree on everything. One thing we do agree on is that if you are feeding your family vegetables, that is great. So few children, and adults, are eating nutrient rich vegetables that are grown with both conventional and organic practices. Now, is one more nutritious than the other? The jury is out on that one. There are tons of studies trying to prove organic is better than conventional or that there isn’t a difference, etc. One thing I do know is that nutrient values are at their peak right when they are harvested. So, if you are in Indiana it may be better for you to get conventionally grown vegetables from the producer down the road versus organic vegetables from California that will have to travel for a few days. Another thing Adam and I agree on: Buying local foods. It supports your community, and vitamins and antioxidants are more likely to get to your table. So, in short, by gardening in my backyard, I know I am getting a vegetable full of the most nutrients possible. But there are so many other reasons why gardening is good for your health outside of what you put into your mouth. 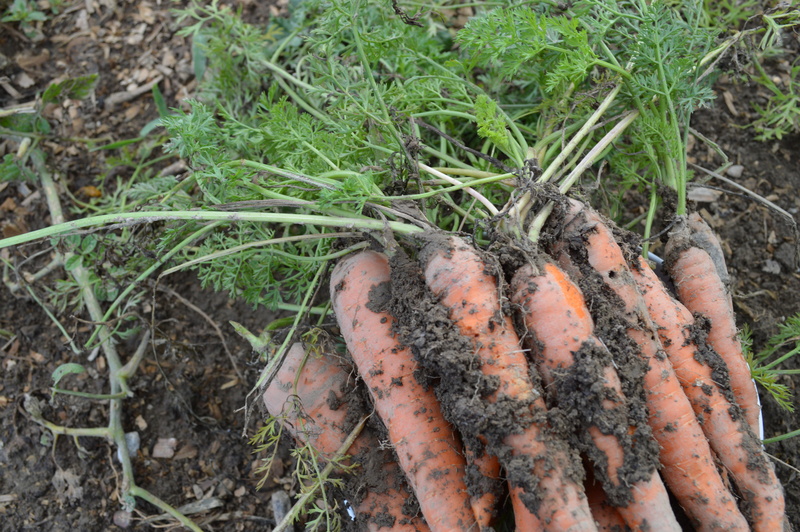 A big one is the physical activity involved with gardening. Gardening ranges from low intensity exercises, like weeding, to high intensity, like heavy lifting. Because there are so many different types of activity involved with gardening it is considered a full body workout. 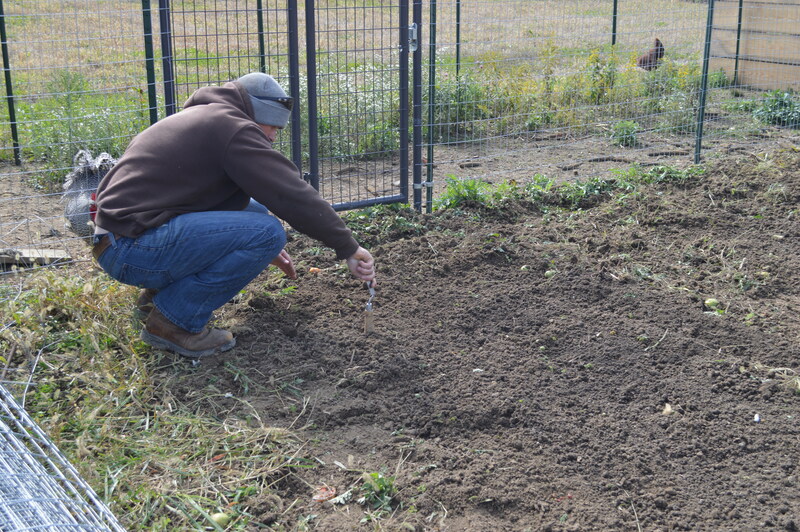 Planting is considered a low impact gardening activity. The app “My Fitness Pal,” first of all, considers gardening activity. (It is still yet to recognize Pure Barre…) And second, says that for sixty minutes of general gardening I would burn 268 calories. The moving is good for your brain and happiness, but so is being outside. Breathing fresh air and soaking up a little Vitamin D helps you sleep better and feel more positive. It may sound a little crazy… or “crunchy” or “Zen” (…I guess I’ll take Zen), but I love how working in the garden makes me feel more connected to the earth. Having a garden lets me get my hands dirty. Use all my senses with nature. I get to smell the vibrant herbs, feel the soil, and see the changes in a plant as it grows. My job has me connected to screens, phones, and the road all day long so not only is working in the garden a major stress reliever, it brings me back to the basic elements. Earth. Air. Water. Warmth from the sun. It reminds me through it’s simplicity that the world is beautiful. Autumn became a little aggressive last couple weeks bringing blustery wind, biting cold, and even flurries. Yuck. This made me very glad that Adam and I had taken advantage of the sunshine the weekend before last and cleaned up the garden for the end of the season. 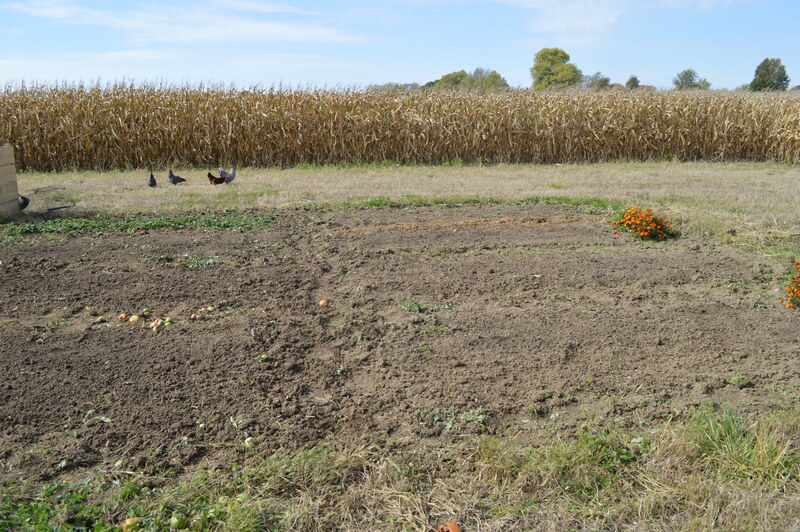 We tore out the remaining plants and tilled up the garden beds. All the herbs were pulled from their pots and composted; after trimming pieces we could still use. 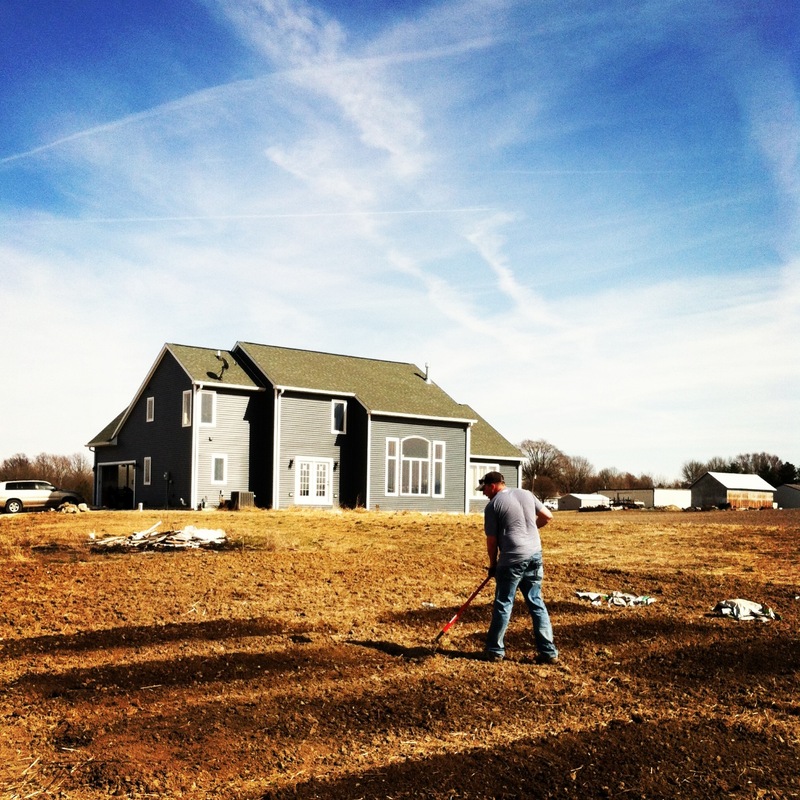 Cleaning up a garden at the end of the season helps to make planting easier in the spring. You want to wait until the first frost, so that plants don’t grow back after removing them and trimming them back. After a day of putting the garden to bed, I looked out at the empty piece of land. It was hard to imagine that just a couple months ago that same spot was booming with life and vibrancy. This brought on a little reflection. 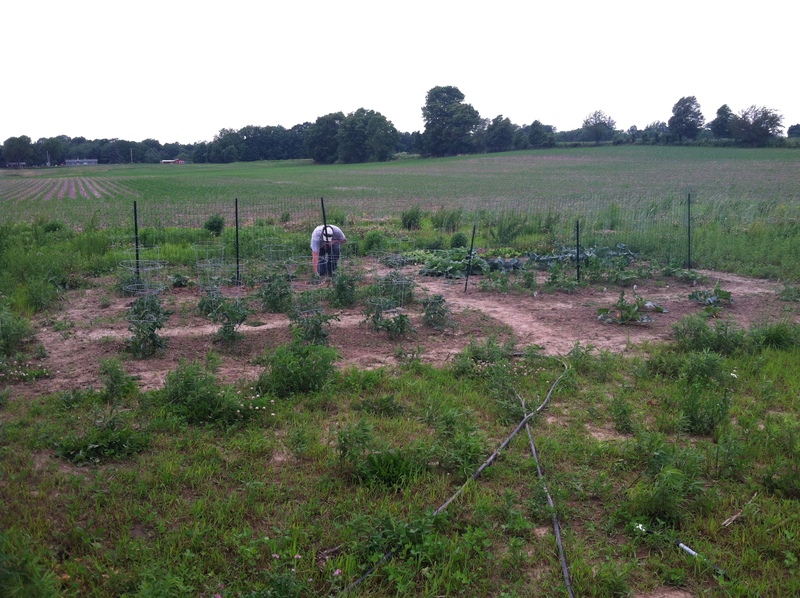 The garden has given Adam and I so much more than produce. It has helped us grow. Learn. Expand who we are as individuals and together. I read something somewhere that you should take time each day for your mind, body and soul. 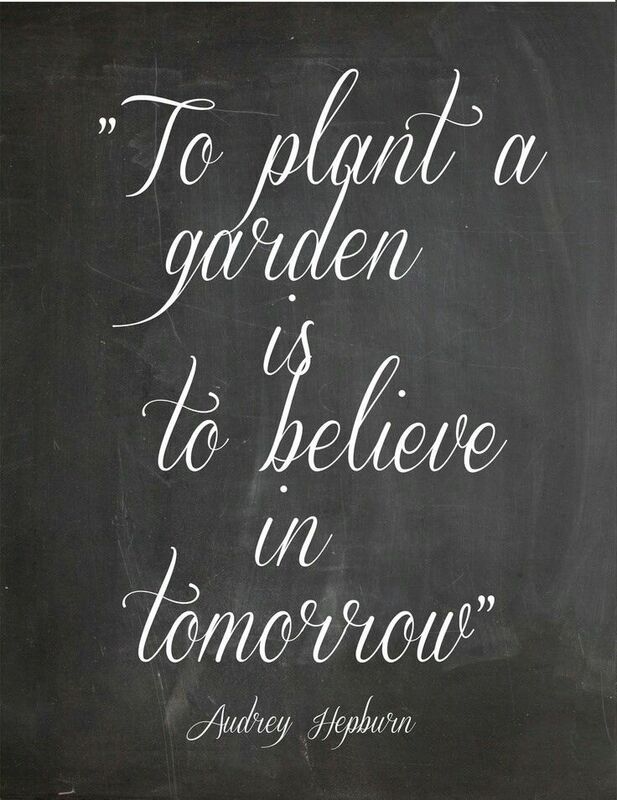 And that is exactly what we did- without even knowing it- through this summer’s garden. Outside of a pathetic attempt at green beans and a couple cherry tomato plants, Adam and I had never gardened before this summer. We learned so much. We learned how things grow. How to take care of plants. 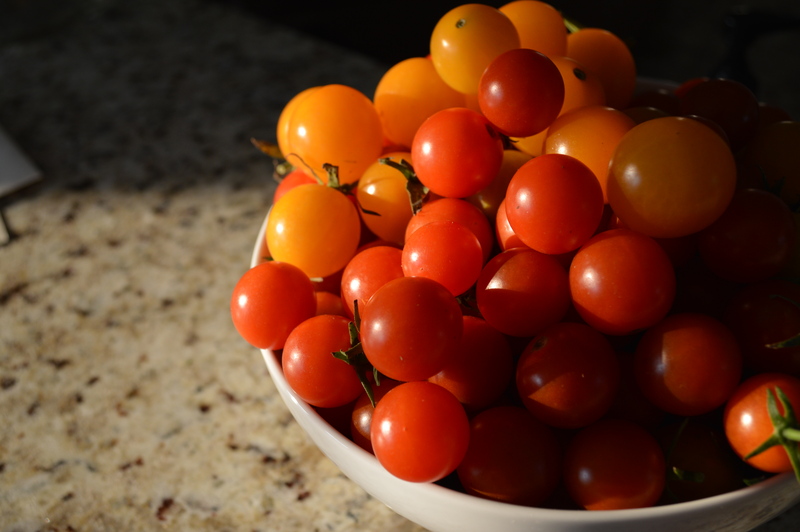 The benefits of eating food from a backyard garden. This learning made us want to know more. We were open to new concepts. Tried new things. Created new recipes with our veggies. We read. We researched. We attended conferences. We listened to old pros. We Googled and Youtubed. As a strong, yet apathic student in my younger years, I don’t know if I have been so interested, engaged and excited about learning ever. Two bee stings. A sliced thumb when making cucumbers. One very, very bad sunburn when I thought it would be a good idea to pull weeds in a bikini top. And an unfortunate canning incident where boiling water poured down my right hand, branding the outline of my claddagh ring to my finger. Don’t worry… Adam happened to make it out unscathed. Second: A lot of people ask if we were doing it for the health benefits. And I would be lying if I said, “No.” And we did see them. We weren’t doing 4,000 calorie burning Cross Fit workouts, but we were outside and moving. We didn’t feel like we were on a diet, but we were eating more vegetables than we had in the past. I didn’t lose any noticeable weight, but I also didn’t gain any. However, one thing that is fatter is our wallets. Grocery lists were shorter than ever. We also used to eat out at least once a week, but since June, we have maybe been out to eat just a handful of times. I smiled, because I couldn’t agree more. As an individual, I felt like I gained a stronger definition of myself. Ten months ago I was a young woman who worked hard trying to develop her career and liked to be with her friends. You might have gotten “shopping” out of me if you asked about my hobbies. Kind of superficial. Very on the surface. Pretty boring. Now, not only do I love working hard, being with my friends, and shopping, but I can go so much deeper than that. There is so much more that makes me… me. I love to spend time in the garden, getting dirt under my nails. I giggle with I have a gaggle of hens following me around the yard. I get so excited create something delicious with the fresh food from the backyard and share it with my friends and family. 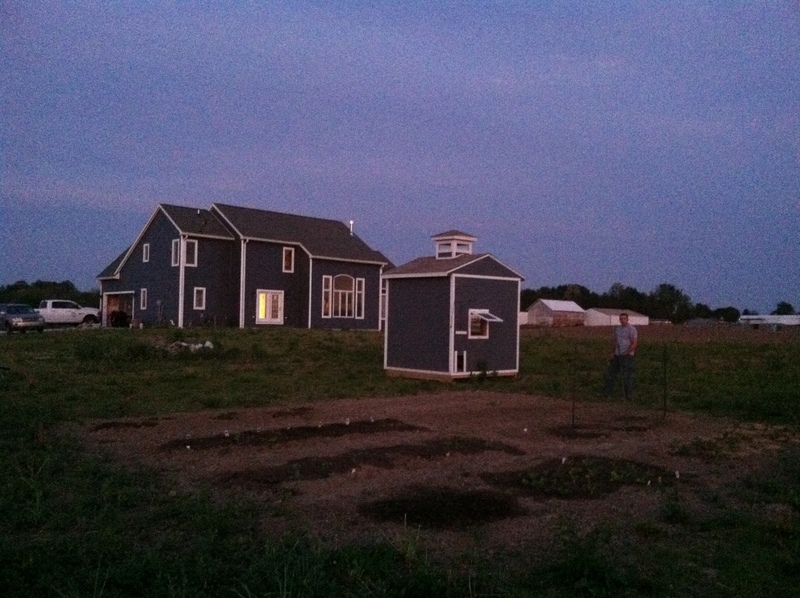 I like to learn more about local food growers, sustainable and self-sufficient living. I seek out hyper local restaurants and opportunities to share this new found passion. Adam lit up and nodded. Hours were spent working alongside each other outside in the garden with no other distractions. We laughed remembering the chicks when they were clumsy, little fluff balls that could entertain us more than any episode of Big Bang Theory. And the evenings in early June spent in the garden together catching up and checking out the changes in the growing plants with a glass of wine are memories that we both will carry with us for the rest of our lives. I don’t think we needed it, but the garden did make us closer. It made us stronger. It made us better. And we both cannot wait to see what next year will bring.